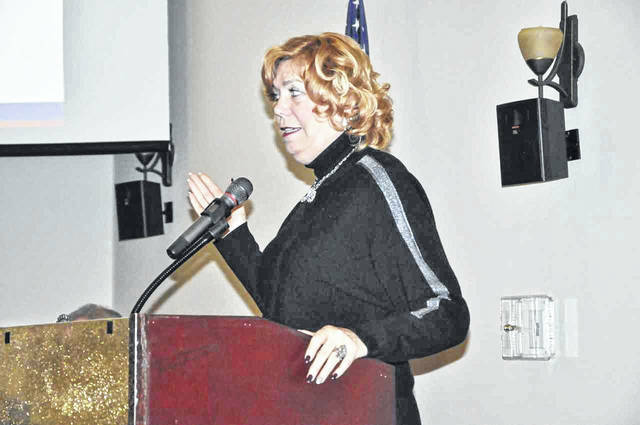 Delaware Mayor Carolyn Kay Riggle addresses the room at the annual “State of the City” presentation held at SourcePoint on Thursday, Jan. 17. 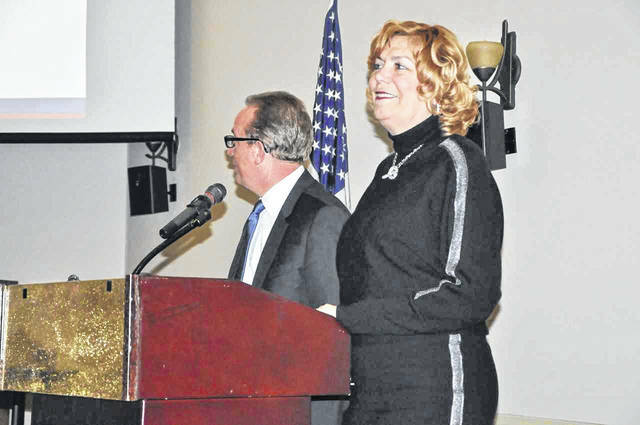 Delaware Mayor Carolyn Kay Riggle and City Manager R. Thomas Homan discuss what’s to come at the annual “State of the City” presentation on Thursday (Jan. 17) at SourcePoint. The City of Delaware held its annual “State of the City” presentation, presented by the Delaware Area Chamber of Commerce, on Thursday (Jan. 17) at SourcePoint. City Manager R. Thomas Homan and Mayor Carolyn Kay Riggle addressed a full room on what’s to come for the city in 2019 and beyond.